This came up in an internal email and thought it might be of use to some customers. It depicts the maximum latency that HP supports when choosing your flavour of HP 3PAR Remote Copy replication (Remember to think about RTO). 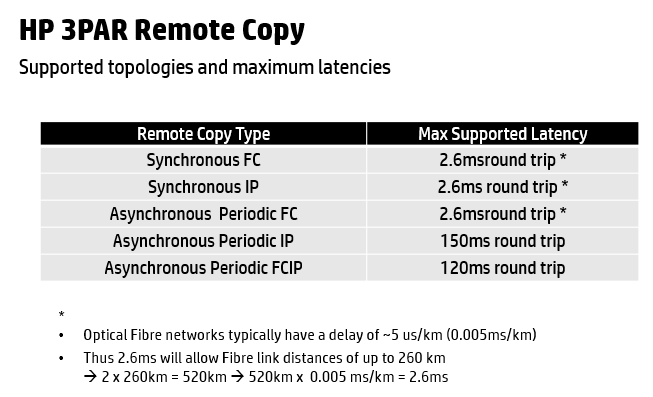 Note: This is latency, and has no hard distance, it all comes down to the link but as a rule of thumb fibre links have 0.005ms per km. May the force be with you!